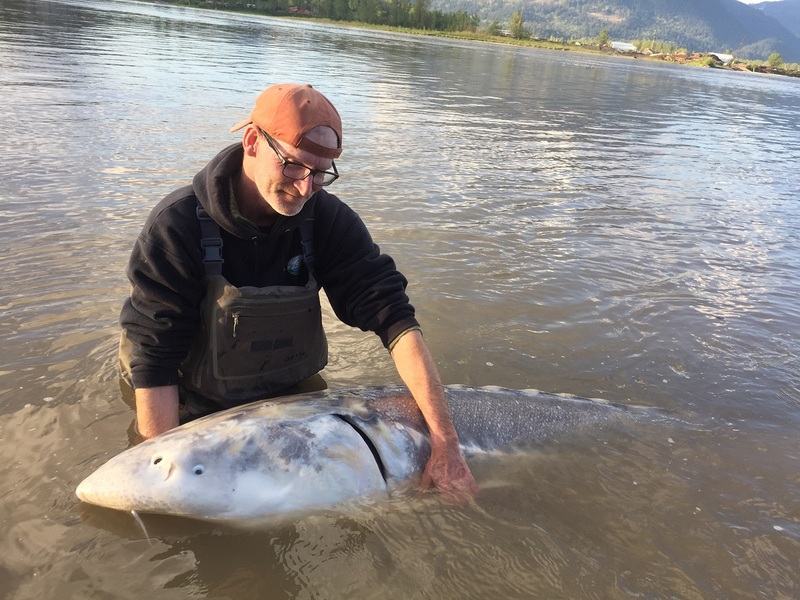 Head guide Brian and assistant guide Mike hit the Fraser river for a short scouting session on May 7 afternoon. 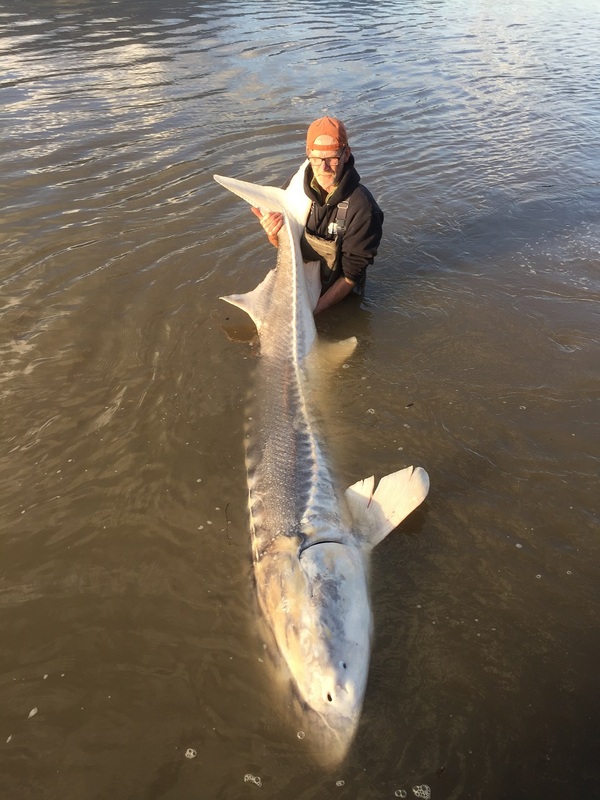 After 10 minutes of fishing we tied into a massive Sturgeon. The fight was spectacular! 6 jumps. It was insane! After 45 minutes we had it on the shore for some quick photos before releasing it back to the Fraser river depths. 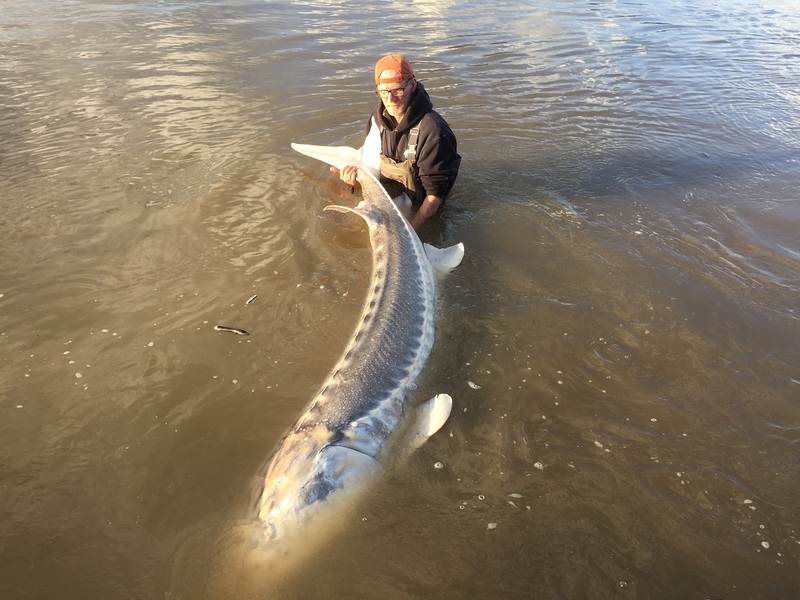 October is prime time for lots of BIG Sturgeon. Expect to catch several big fish every day!